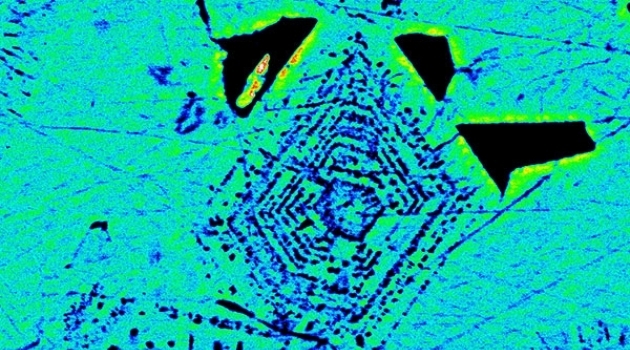 By comparing their data from Kiruna-type iron ores with an extensive set of magnetite samples from volcanic rocks as well as from known low-temperature hydrothermal iron ore deposits, the researchers were able to show that more than 80% of their magnetite samples from Kiruna-type apatite-iron oxide ores were formed by high-temperature magmatic processes in what must represent volcanic to shallow sub-volcanic settings. The new results constitute an important advance in our understanding of Kiruna-type ores and will be of help for the interpretation of, and future exploration for, apatite-iron oxide deposits worldwide. Troll, V. R., Weis, F., Jonsson, E., Andersson, U. B., Majidi, S. A., Högdahl, K., Harris, C., Millet, M.-A., Chinnasamy, S. S., Koijman, E. & Nilsson, K. P. 2019: Global Fe-O isotope correlation reveals magmatic origin of ”Kiruna-type” apatite-iron oxide ores. Nature Communications, DOI: 10.1038/s41467-019-09244-4. The study has been supported by the Geological Survey of Sweden (SGU), the Swedish Science Foundation (VR), and LKAB AB.